As the nation grows closer to the first Democratic primary debate, some experts are beginning to wonder whether Bernie Sanders' gun control stance might hurt him. Until now, his moderate stance on gun control and gun rights has mostly flown under the radar, given the candidate's reputation for being extremely progressive. But in the wake of the mass shooting at a community college in Oregon, Sanders' voting history in terms of gun control has come back to haunt him. To be clear, Sanders is not pro-gun. But he isn't anti-gun, either. Instead, he's caught in a strange political limbo: someone who believes in gun rights, but also desires gun law reform. And it makes sense, considering that Sanders hails from Vermont, a state where recreational hunting is popular. And the pro-gun community has been good to him. While seeking a position in Congress in 1990, Sanders was actually endorsed by the NRA as "more honorable choice for Vermont sportsmen" than his competitor. And his voting record has shown a sensitivity to gun rights and gun manufacturers as well. Many critics of his stance point to his voting record from the 1990s, in which he voted against the Brady Bill, which would have expanded background checks. In 2005, he voted in favor of a bill that barred individuals from lodging lawsuits against gun manufacturers. Hillary Clinton, his main challenger, voted against it. But he also has a substantial record of voting in favor of reform, such as in 1994 when he supported banning assault weapons, and in 2013 when he reversed his earlier vote and supported a bill that would expand background checks. But when compared to the other Democratic candidates, Sanders is not even close to being the most progressive on the matter. "We need a comprehensive approach. We need sensible gun-control legislation which prevents guns from being used by people who should not have them," said a statement released by Sanders' campaign following the Oregon shooting. "We must greatly expand and improve our mental health capabilities so individuals and families can get the psychological help they need when they need it. We also have to tone down the incredibly high level of gratuitous violence which permeates our media." On the far left of Sanders are Clinton and Martin O'Malley, who both have strong gun control records, and have made reform key issues within their campaigns. Following the shooting, O'Malley announced his desire for efforts such as banning assault weapons, utilizing finger print records, and making gun trafficking a federal crime. During town hall meetings, O'Malley reiterated his success as mayor of Baltimore at cracking down on gun violence, while calling on Clinton and Sanders to support his initiatives. On Monday, Clinton released a comprehensive policy plan for gun control that would include repealing the 2005 bill that Sanders supported, as well as closing the gun show background check loophole. And like O'Malley, her previous history gives her credibility — as a senator, Clinton co-sponsored legislation aimed toward combating the gun show loophole. The candidates will meet on stage in Nevada on Oct. 13 for the first time to debate, and gun control will almost definitely be main subject. O'Malley and Clinton are prepared and ready to discuss their backgrounds, as well as what they would do as president. But Sanders is likely to avoid engaging, and will reiterate his desire for "sensible gun control." In other venues, this tactic may work for Sanders and appeal to voters. 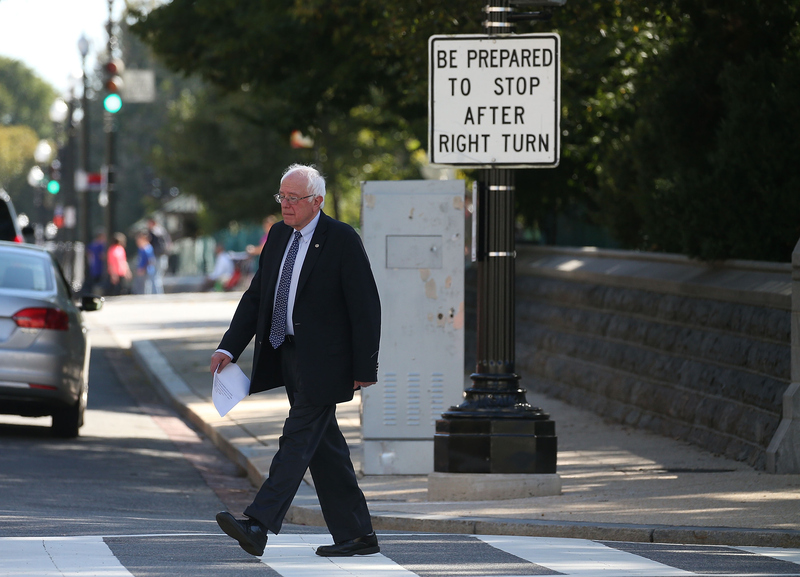 But with emotions still running high following last week's shooting, it may spell bad news for Sanders. He's a candidate who favors facts and figures. But unfortunately for Sanders, the facts show that he's not the most progressive when it comes to gun control. And voters might not be willing to compromise this time.